Rates slowly increased from 2011 to 2016, but are now (2019) fairly stable – mainly due to variations in supply and demand. 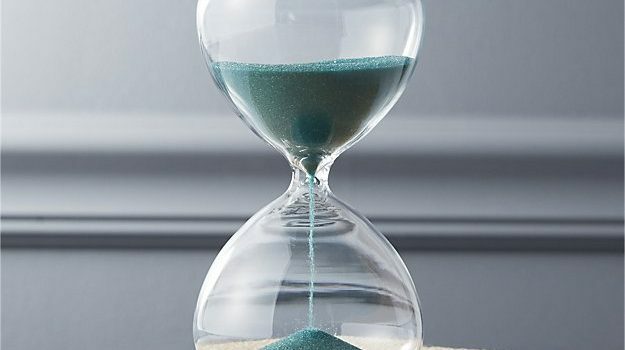 April 2019 – rates have stalled a bit – conveyancing locums in particular need to be aware that the market is not strong at the moment and you will need to be ‘competitive’ to get assignments.. Residential Conveyancing Locum Solicitors – 1-5 years PQE, £28-34 per hour (no variation for central London). Conveyancing Locum Solicitors & ILEX – 5-35 years PQE, handling all levels of conveyancing including managing a department – £32-40 per hour, including central London. Commercial Property Solicitors – 1-40 years PQE – £35-50 per hour – average is £38-42 per hour. Wills & Probate Solicitors and Legal Executives – 3-35 years PQE – £35-50 per hour, going up to £55 per hour. Family Solicitors – 4-40 years PQE – £35 per hour+. NB: huge shortage of family locums and increasingly difficult to source. Commercial Litigation Solicitors – 3+ years PQE – £35-50 per hour. Company Commercial & General Commercial Solicitors – 3+ years PQE – £35-75 per hour. Employment Solicitors – 3+ years PQE – £25-35 per hour. Personal Injury and Clinical Negligence – 3+ years PQE – £20-£35 per hour. In House Legal Department Rates: 0-3 years PQE – £25-35 per hour, 3+ years PQE – £30-80 per hour (very wide range due to the nature of in house work). Local authority rates: write some numbers on pieces of paper, but them in a box, give them a shake and pull one out. The result is probably as accurate as any figure I can give here. Local authority (often unfounded) worries about IR35 have had a huge effect on this sector. Commercial Property Solicitors – 1-40 years PQE – £35-50 per hour – average is £40-45 per hour. Wills & Probate Solicitors and Legal Executives – 3-35 years PQE – £35-50 per hour, going up to £55 per hour. Very few available at £35. £40 min more likely. Family Solicitors – 4-40 years PQE – £35 per hour +. NB: huge shortage in family locums. Local authority rates: write some numbers on pieces of paper, but them in a box, give them a shake and pull one out. The result is probably as accurate as any figure I can give here, although we are still seeing signs of a shake up in the market.. Local authority (often unfounded) worries about IR35 have had a huge effect on this sector. Rates are still low for assignments starting in the next 4 weeks. Summer rates will be higher of course.. Residential Conveyancing Locum Solicitors – 1-5 years PQE, £28-32 per hour (no variation for central London). Conveyancing Locum Solicitors & ILEX – 5-35 years PQE, handling all levels of conveyancing including managing a department – £30-35 per hour, including central London. £30 is probably a good level to consider for most locums for all roles starting in the next 2 months. Family Solicitors – 4-40 years PQE – £30-35 per hour. NB: we are still experiencing a shortage in available family locums. In House Legal Department Rates: 0-3 years PQE – £25-35 per hour (wide range due to variables in legal department work), 3+ years PQE – £30-80 per hour (very wide range due to the nature of in house work). Local authority rates: write some numbers on pieces of paper, but them in a box, give them a shake and pull one out. The result is probably as accurate as any figure I can give here, although we are still seeing signs of a shake up in the market..
NB all rates exclude agency fees (we charge 18%, the larger locum agencies charge c.30%). The rates are for self-employed locums billing firms directly on a weekly basis. Conveyancing Locum Solicitors & ILEX – 5-35 years PQE, handling all levels of conveyancing including managing a department – £30-35 per hour, including central London. £30 is probably a good level to consider for most locums for all roles starting in the next 3 months. Family Solicitors – 4-40 years PQE – £30-35 per hour. Employment Solicitors – 3+ years PQE – £25-35 per hour (minimal amounts of work). Local authority rates: write some numbers on pieces of paper, but them in a box, give them a shake and pull one out. We are seeing signs of a shake up in the market..
Rates have fallen as they do every year due to the number of locums chasing each assignment as they crop up in dwindling numbers. A recent wills & probate role attracted 6 enquiries, whereas 3 months ago we would have been lucky to get one tentative application. Usual dramatic decrease in the number of assignments has occurred across all fields of law. Conveyancing Locum Solicitors & ILEX – 5-35 years PQE, handling all levels of conveyancing including managing a department – £30-35 per hour, including central London. £30 is probably a good level to consider for most locums for all roles starting in the next 4 months. Employment Solicitors – 3+ years PQE – £25-32 per hour (minimal amounts of work). Local authority rates: write some numbers on pieces of paper, but them in a box, give them a shake and pull one out. The result is probably as accurate as any figure I can give here..
NB all rates exclude agency fees. The rates are for self-employed locums billing firms directly on a weekly basis. We have over 11,000 lawyers registered with us. To request CVs for a specific vacancy please register your vacancy. Conveyancing Locum Solicitors & ILEX – 5-35 years PQE, handling all levels of conveyancing including managing a department – £30-35 per hour, including central London. Local authority rates: write some numbers on pieces of paper, but them in a box, give them a shake and pull one out. The result is probably as accurate as any figure I can give here.. Lets just hope the government do not start trying out IR35 legislation in the private sector as this is all nothing short of a complete nightmare for all concerned. Residential Conveyancing Locum Solicitors – 1-5 years PQE, £30-35 per hour (no variation for central London). Conveyancing Locum Solicitors & ILEX – 5-35 years PQE, handling all levels of conveyancing including managing a department – £35-42 per hour, including central London. Employment Solicitors – 3+ years PQE – £28-35 per hour (minimal amounts of work). Local authority rates: write some numbers between 24 and 65 on a piece of paper, close your eyes and point at one. Local authority rates seem to be calculated by total randomness and they remain one of the wonders of the recruitment world. Add in the complexities of IR35 and the joys of umbrella companies and this really is a complete minefield! Rates are now starting to go up as we approach the summer. Up to £35 per hour in Conveyancing is still the norm for most locums, although the current competitive level for longer term assignments is £30-32 per hour. Very rare to see locums working for less than this at the moment in property, private client or litigation. Conveyancing Locum Solicitors & ILEX – 5-35 years PQE, handling all levels of conveyancing including managing a department – £30-37 per hour, including central London. Local authority rates: write some numbers between 24 and 65 on a piece of paper, close your eyes and point at one. Local authority rates seem to be calculated by total randomness and they remain one of the wonders of the recruitment world. Add in the complexities of IR35 and the joys of umbrella companies and this really is a complete minefield! Rates do seem to fall within the £35-55 per hour range at the moment. Rates are now starting to go up as we get into Spring. Bookings for the summer are at summer rates. Up to £35 per hour in Conveyancing is still the norm for most locums, although the current competitive level for longer term assignments are £30. Personal Injury and Clinical Negligence – 3+ years PQE – £18-£35 per hour. Local authority rates: write some numbers between 24 and 65 on a piece of paper, close your eyes and point at one. Local authority rates seem to be calculated by total randomness and they remain one of the wonders of the recruitment world. Since 2017 you can also add in IR35 and the joys of umbrella companies..
Family Solicitors – 4-40 years PQE – £30-34 per hour. Much harder to find these days.